Did you catch yesterday’s post on Halloween party concepts? Halloween is one of many things I love about fall. Another autumn perk: getting to spend time with friends and family. There’s also the joy of spending cozy evenings at home. Today’s post is dedicated to new fall decor finds that will help you create a welcoming environment throughout your interior this season. 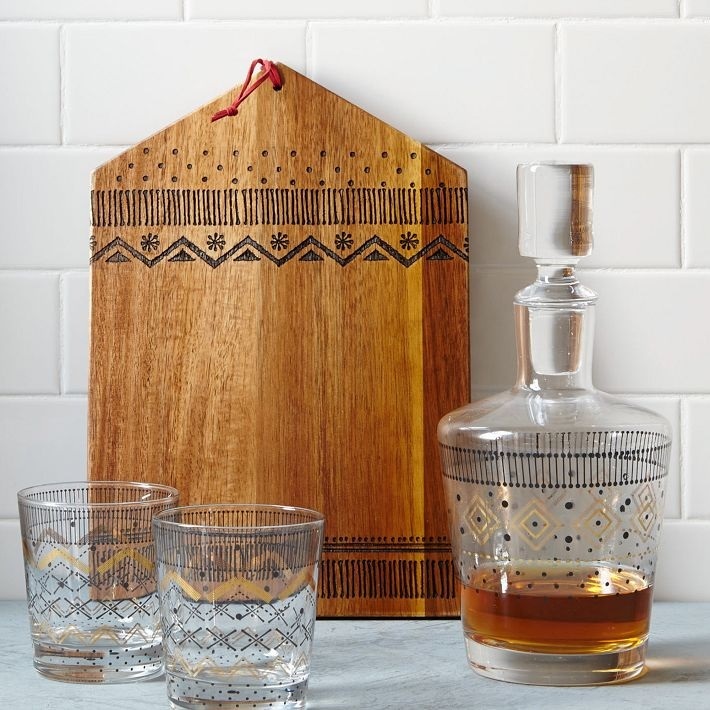 From tabletop entertaining pieces to accents that will enhance your space as you lounge by the fire, these picks from some of our favorite retailers will empower you to celebrate the season in style. Enjoy! 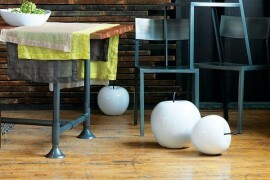 Let’s start with the fall table! 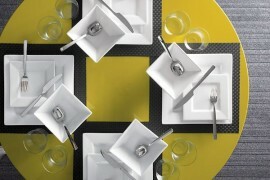 Many new tabletop decor finds await us, and one of my very favorite trends this season is geo style. 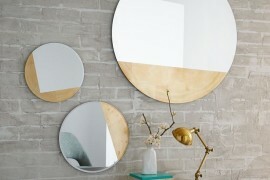 Maybe that’s why this tabletop vignette from has CB2 caught my eye. Notice all the geo finds below? 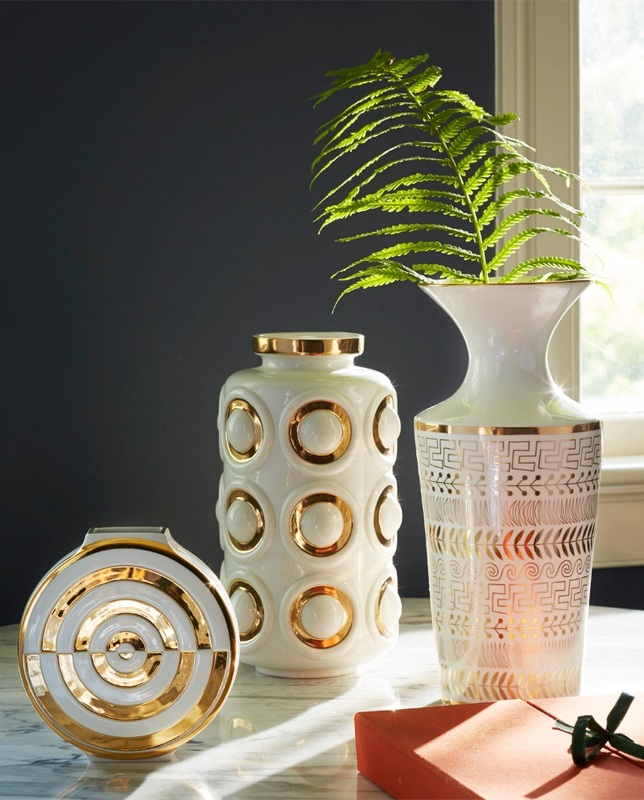 From the Noon China Dinnerware and Gami Rose Gold Candleholders to the Intermix Dinnerware, the geo flair is ever-present. 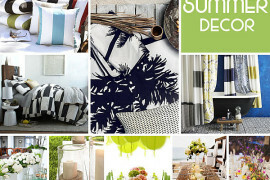 And how about that palette of oranges, blues and greens? 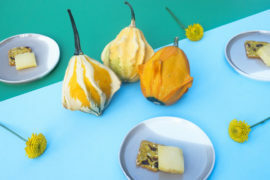 With fabulous finds such as the Uno Blue-Green Linen Napkin, CB2’s offerings provide plenty of opportunities to put a modern spin on the season. 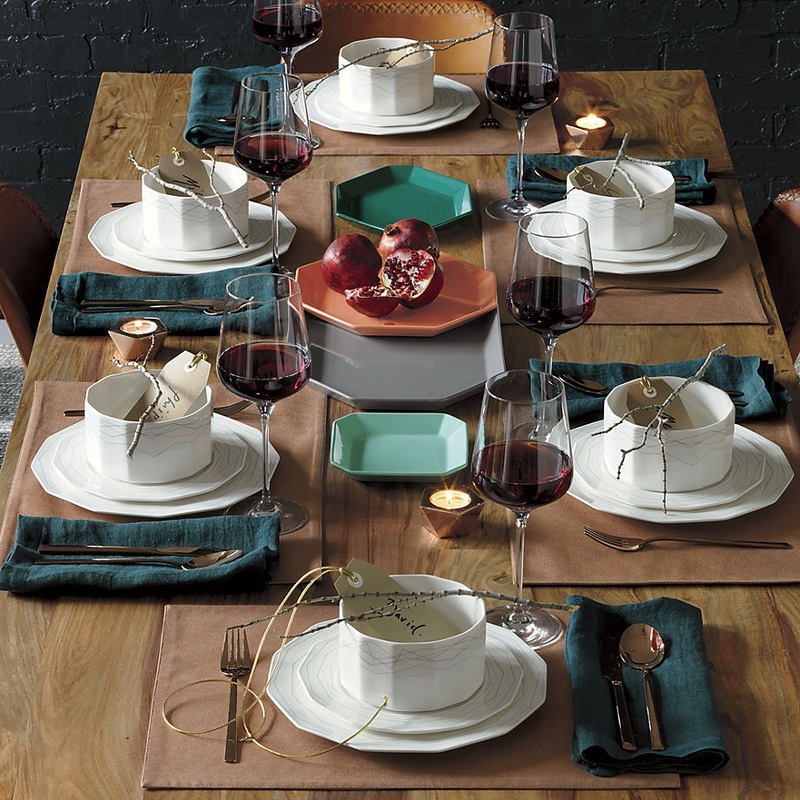 Another tabletop approach to enjoy this fall: rustic-meets-modern style. 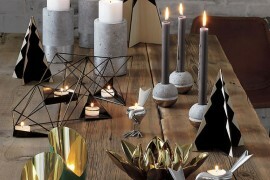 This tabletop setting from West Elm exemplifies the contemporary earthy look. 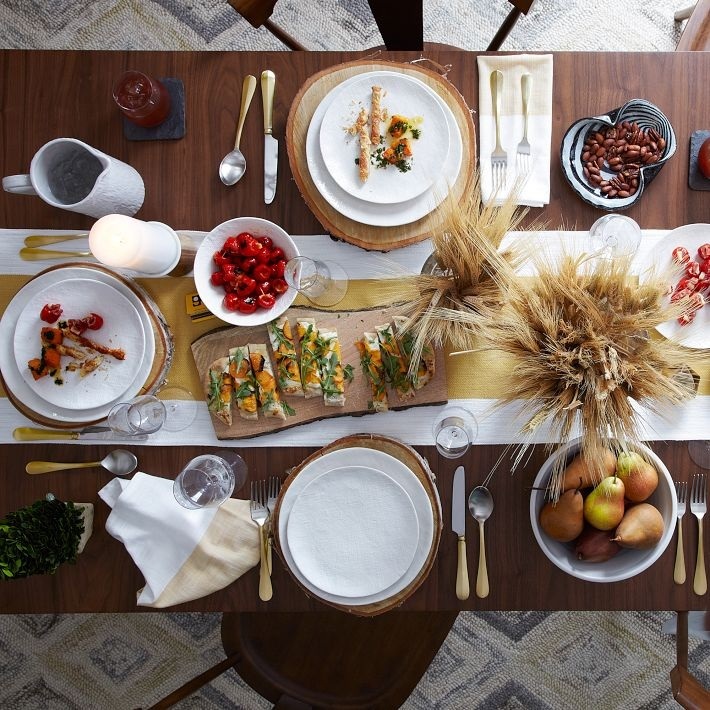 Try placing dried wheat stalks in vases at your table this autumn and see how they complement your decor! 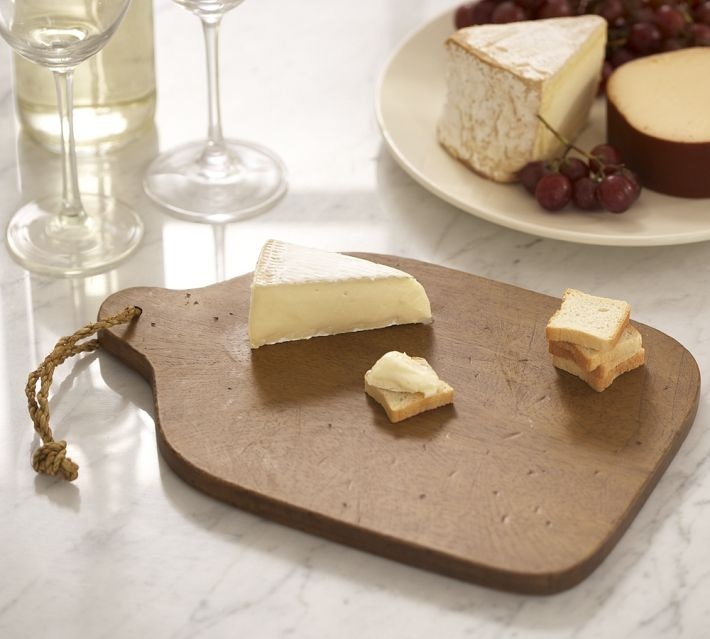 You can even introduce a hint of geo style to your rustic table with the help of Octagonal Chargers from Pottery Barn, shown below. 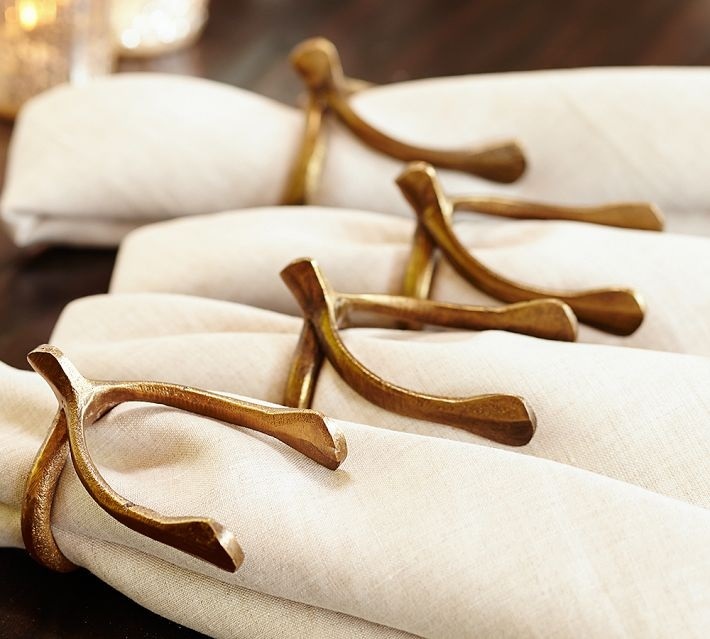 Crafted of plastic with a pewter/brass lacquered finish, they are durable and affordable. 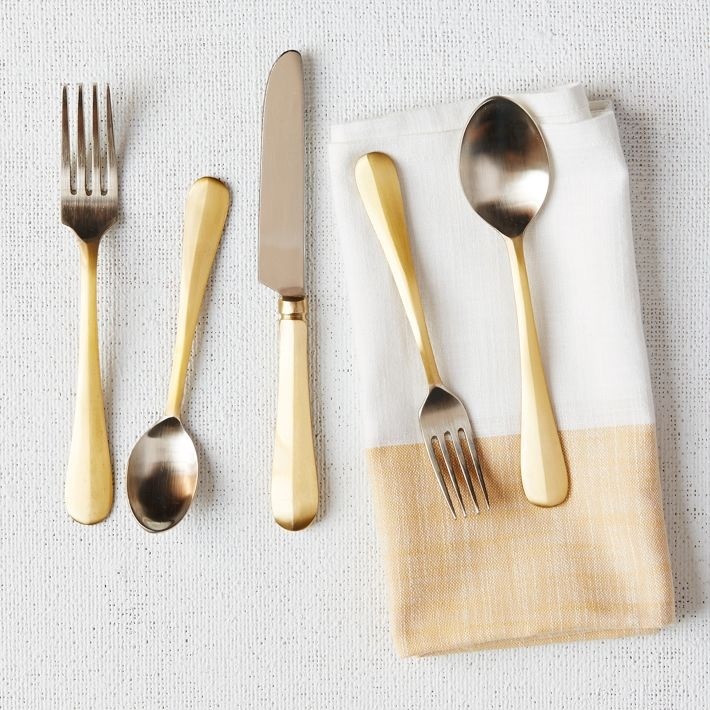 Mixed metallics are still popular this season, so a new batch of gold-toned flatware is emerging. 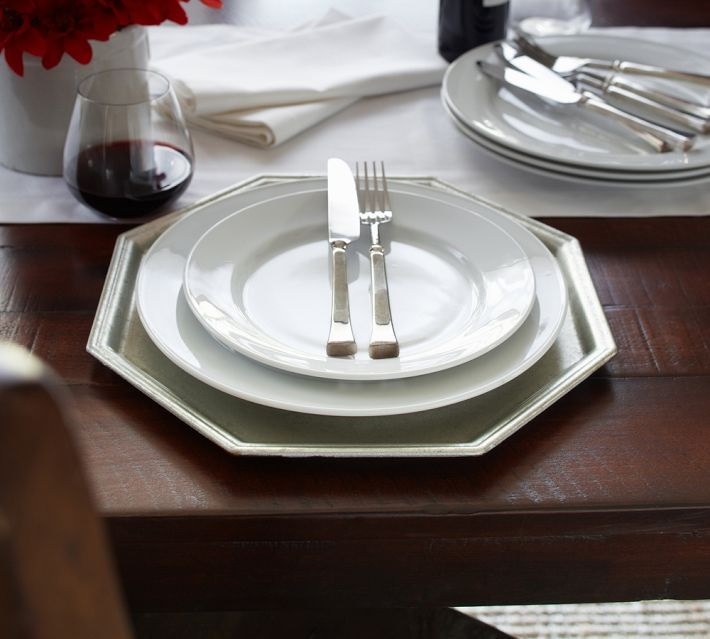 I love the look of this Two-Tone Flatware from West Elm. 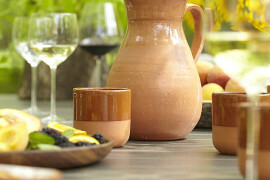 Plus, these pieces are dishwasher safe–win! 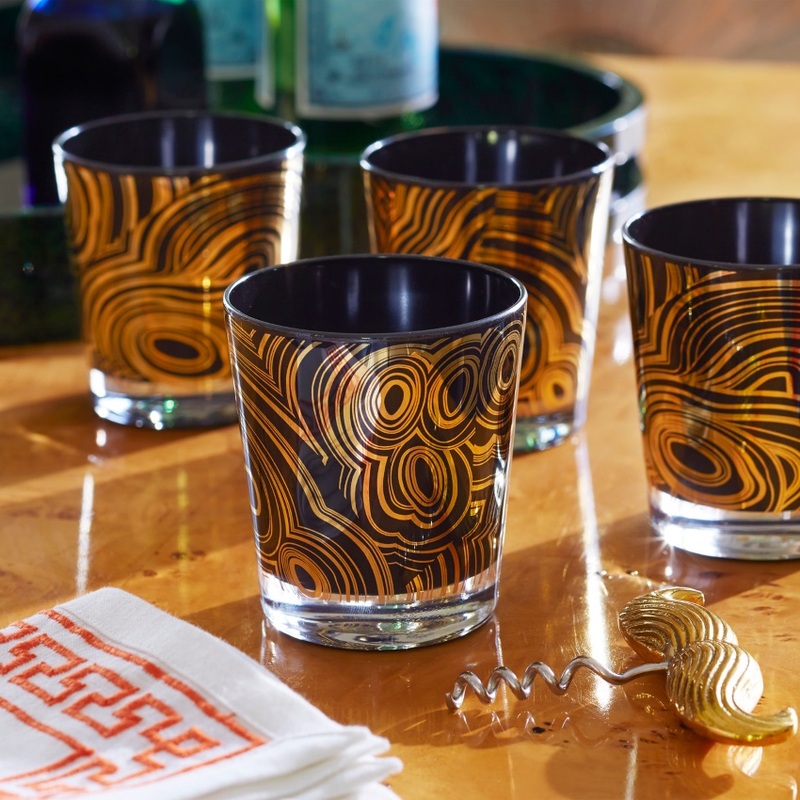 Dramatic flair is the theme of this Malachite Glassware from Jonathan Adler. 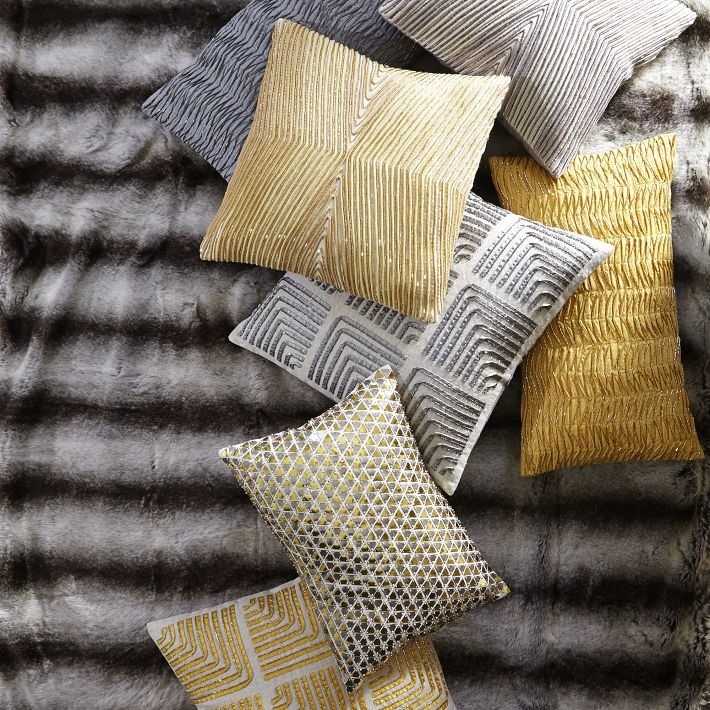 Gold and black are the colors of choice, and this combo is so glam, it can shine at your winter holiday table as well. 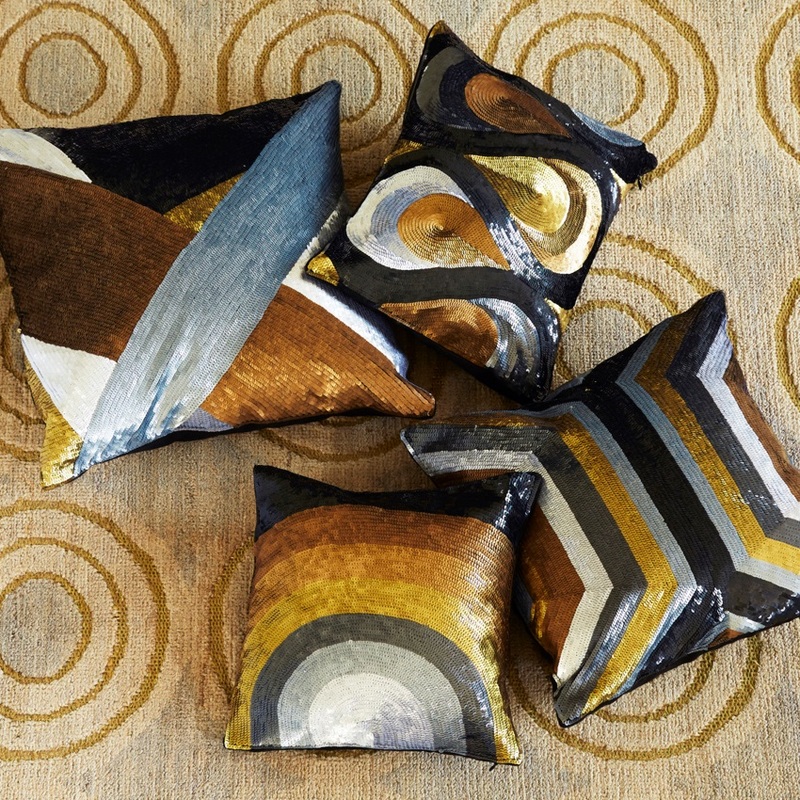 A modern twist on the malachite pattern! 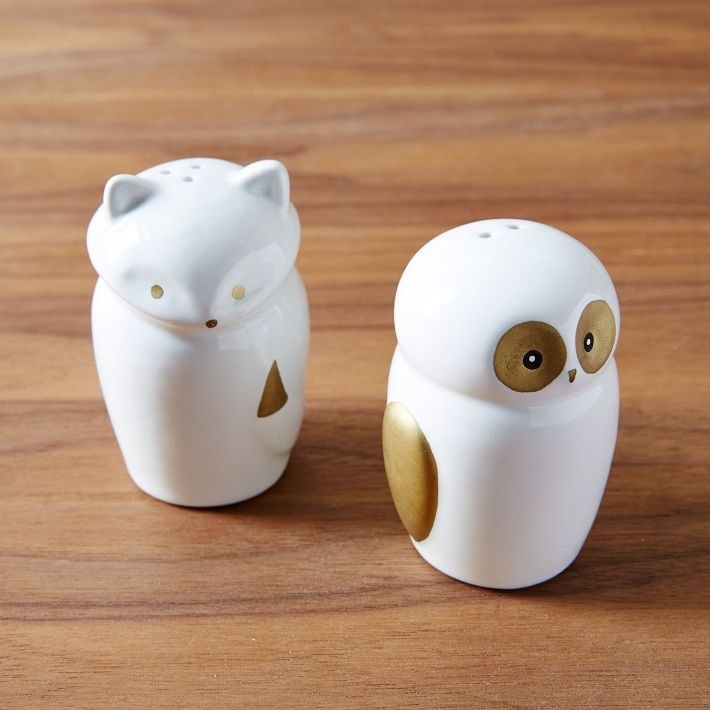 How cute are these Fox + Owl Salt + Pepper Shakers from West Elm, crafted of white glazed stoneware with gold accents?! 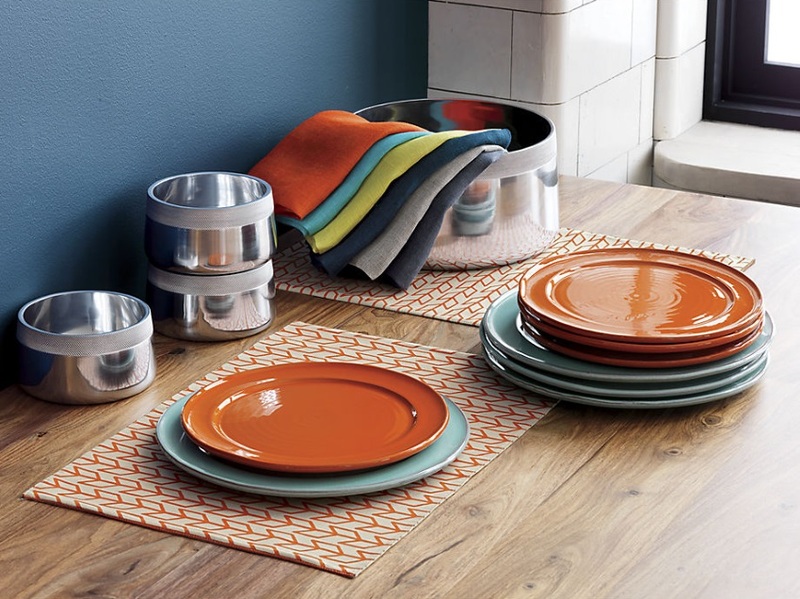 Perfect for animal lovers and design lovers alike, they blend whimsical style with modern panache. 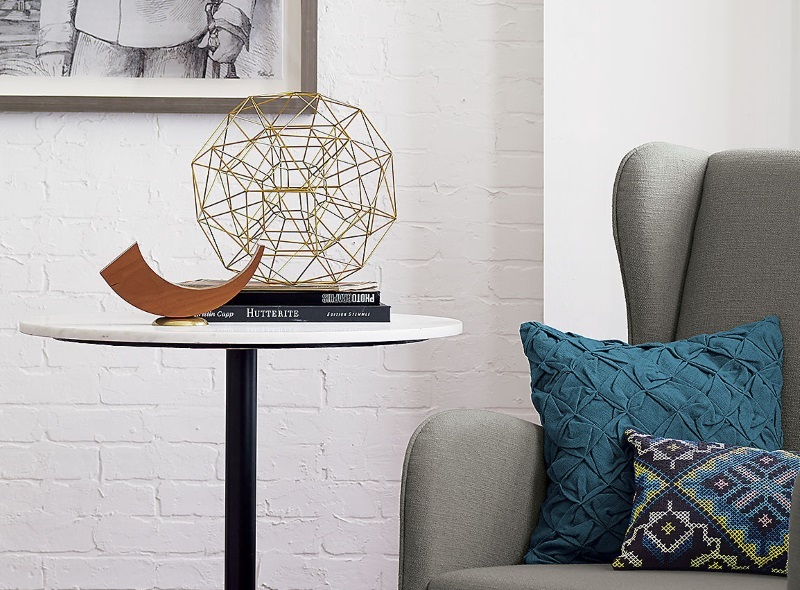 We move from the tabletop to the living room (and beyond), as we explore a collection of decor that ranges from artwork to tabletop vases. 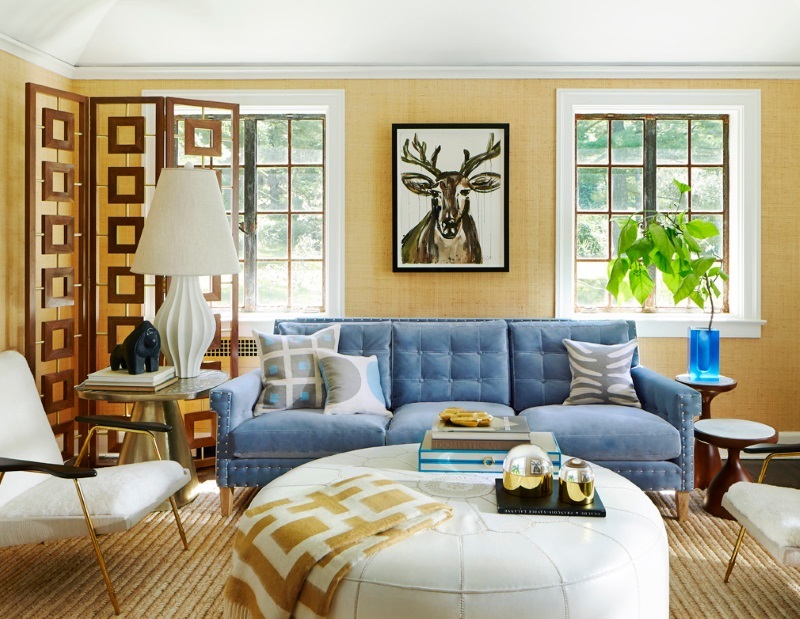 And speaking of artwork, below we see the Snyder-Phillips “Buck” Framed Sumi Ink Painting from Jonathan Adler, An original painting by New York based artist Jenna Snyder-Phillips, this piece is created with the help of Japanese sumi ink. The perfect touch of fall style! 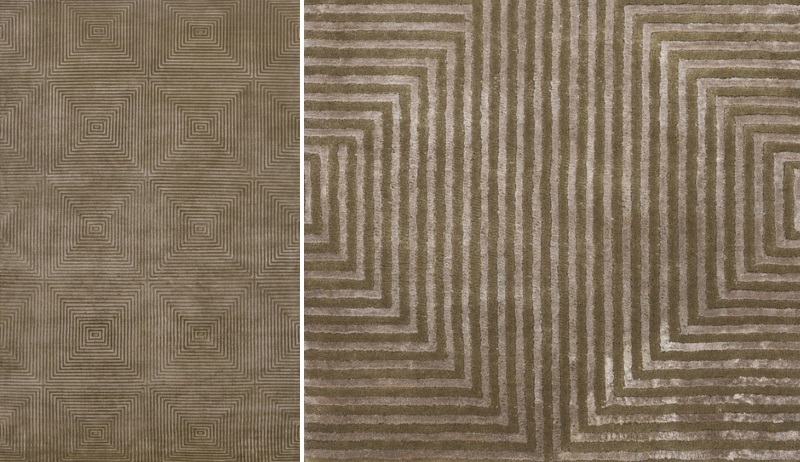 From the walls to the floor–this next find is the geo-fabulous Frick Rug from DwellStudio. 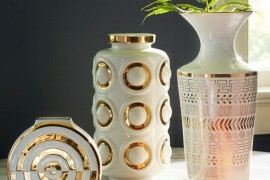 It has a retro-meets-modern appearance that’s also a little bit luxe. Plus, with its neutral tones, this rug is compatible with almost any color. 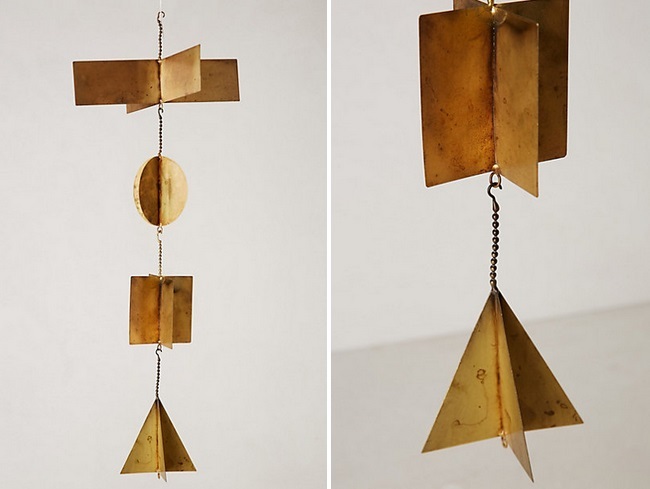 Now we turn our eyes to the ceiling, where you can hang these Geo Chimes from Anthropologie. 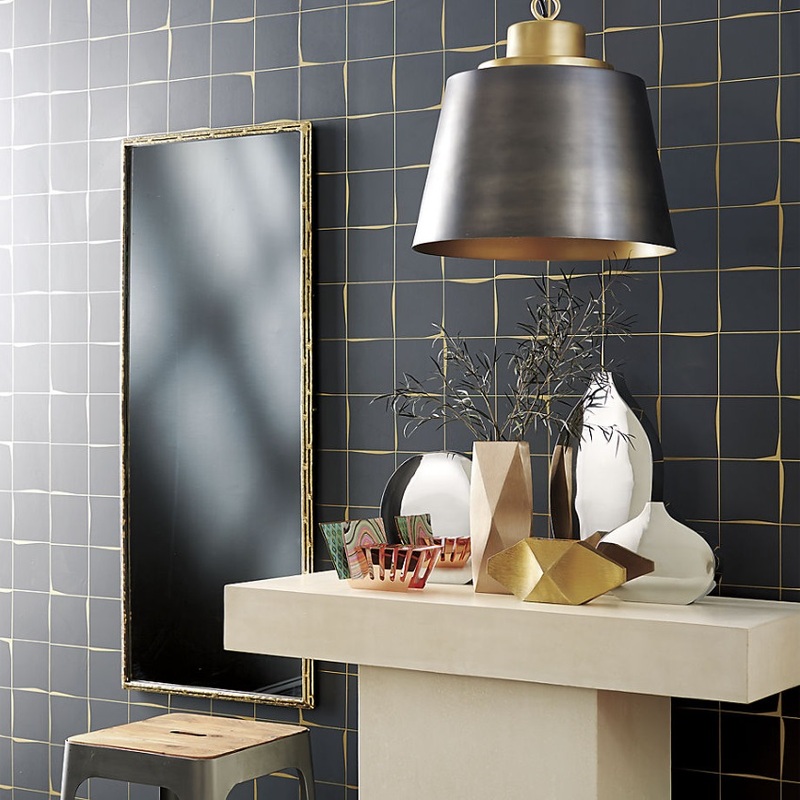 Featuring four shapes, the chimes combine metallic style with geo flair in a wonderfully modern way. You know those snow globes that seemed so magical when you were little? 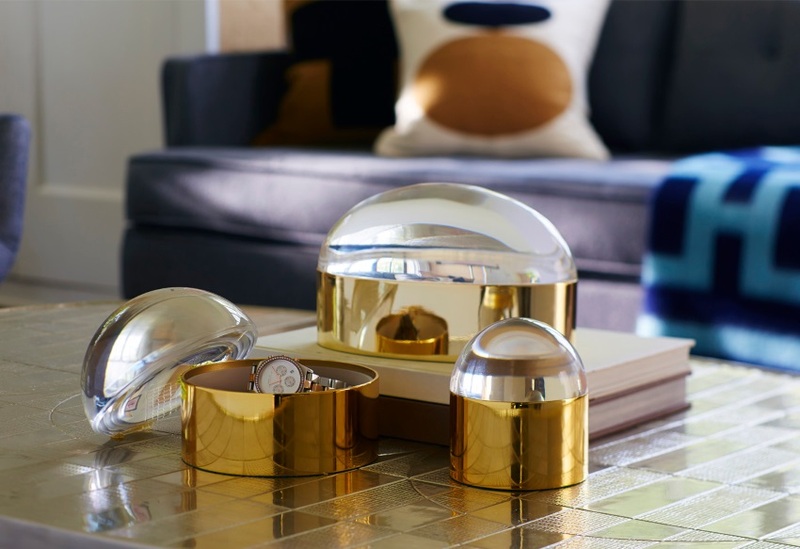 These Globo Boxes from Jonathan Adler capture that same whimsical feel, thanks to a base of polished brass and a Lucite lid. Perfect for that side table or nightstand!